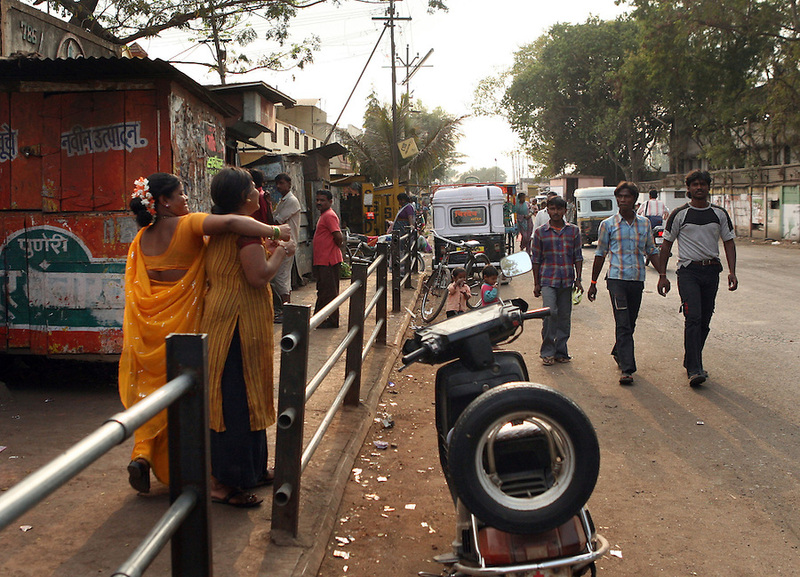 Surekha Kamble (far left) and a friend try to attract some passing men's attention in Miraj's redlight district where they live and work as Devadasi sexworkers. Kamble has been a Devadasi sexworker since she was sixteen. Her mother was a Devadasi sexworker and as is tradition, she and her sister too became Devadasis. She is also a peer educator involved in raising awareness in her community about HIV/AIDS as well as other sexually transmitted diseases. Her two daughters, Chandrike and Ropani, are both being educated at a residential school for the children of Devadasis and she has hopes that they will not follow her into the Devadasi lifestyle.